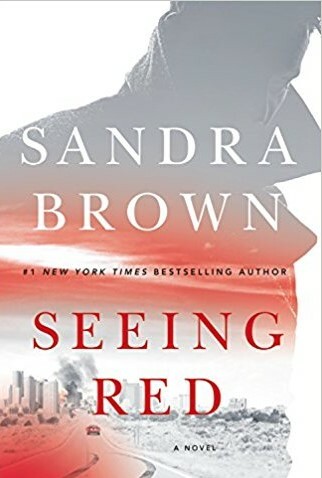 Seeing Red by Sandra Brown is an entertaining novel so far, but the main character’s name is John Trapper. John Trapper? That’s just a reverse of the character Trapper John from the TV show (and movie) MASH. At first, I thought John Trapper was a lazy name for a main character, but now I realize it’s brilliant. JK Rowling used this strategy, taking a character’s name from the television show MASH, but Rowling didn’t even bother reversing the names. She just took the name Harry Potter from MASH and kept it as Harry Potter. That was a wise decision. If she had named her character Potter Harry, the books might not have been as popular. The next time I write fiction, I ‘m going to take a character from MASH and reverse names. The male protagonist could be Blake Henry, or Pierce Hawkeye, or Winchester Charles. The female protagonist can be Houlihan Hot Lips. Hot Lips. Haha. It cracks me up that a righteously progressive show from the 1970s like MASH started off as really sexist. Anyway, the first scene in Seeing Red with John Trapper has some humorous moments, but I won’t excerpt it because I’ve said there are humorous moments. Once I’ve proclaimed that a scene is funny, and then you don’t think the excerpt is humorous at all, then I’ve lost credibility from your perspective. At any rate, I’ve kind of enjoyed the early scenes with John Trapper so far. While the author Sandra Brown seems to handle humor well, the action so far in this novel can be a little clunky. Before the readers meet John Trapper in Chapter 1, there is prologue scene where a journalist named Kerra is stuck in a locked bathroom while somebody outside the bathroom door is trying to kill her. The double-hung window behind her was small, but it was the only chance she had of getting out alive. She felt for the lock holding the sashes together, twisted it open, then placed her fingers in the depressions of the lower sash and pulled up with all her might. It didn’t budge. She put all she had into raising the window, and it became unstuck with such suddenness that it stunned her for perhaps one heartbeat. The ‘it became unstuck” seems a bit passive for an action scene. Technically, “became unstuck” might not be passive because became is a linking verb (I think), and I don’t think linking verbs are categorized as active or passive. Still, I’d want an action verb in this action scene. The phrase “the window suddenly flew open” might be lazy, but it doesn’t feel passive, and I think a lazy action verb is a slight improvement over any linking verb. I also think “for perhaps one heartbeat” is unnecessary. Kerra is getting shot at; the window probably isn’t going to startle her more than gunshots. If anything, there would be a short-lived moment of relief. Maybe all that is nitpicky. If you think I’m overthinking things, here’s what I noticed a little later on. Trapper was in a virtual coma when the knocking started. “Bloody hell,”he mumbled into the throw pillow beneath his head. His face would bear the imprint of the upholstery when he got up. If he got up. Right now, he had no intention of moving, not even to open his eyes. The ‘right now” isn’t really right now because the story is using past tense. Maybe ‘right now” is technically grammatically correct (I don’t know if it is or not), but when in doubt about phrasing, I change the phrase to avoid potential confusion, even if the confusion is my own. It would have been easy to have changed the “right now” to “at that moment.” “At that moment” is clear, and it doesn’t change the flow or pace of the prose. I know, these are minor issues in what might be a decent best-seller. The professionals who put out these books get paid a lot more for their writing than I do, so maybe I don’t know what I’m talking about. Or maybe writers and editors are getting lazy/sloppy because they’re churning out so many books from the same authors. I don’t know. What do you think? You might be right, but I think expectations of literature are so low now, most people wouldn’t notice the things you mention. 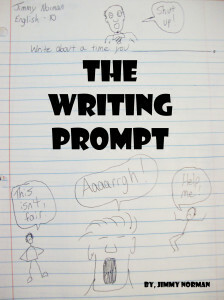 Writing skills, grammar skills, sentence structure are not taught in schools anymore and it shows. It shows on TV, online, in books…very sad to see. It would be interesting to compare some forgotten bestsellers from 50 years ago to some of the bestsellers getting churned out today, just to see how the quality of writing has changed (if it has). Offhand, I don’t know which book from 50 years ago to start off with, but it’s an idea.